RYM delivered the boat on its own bottom from the US to St Maartan and packed up the yacht for delivery back across the Atlantic to participate in Rolex Fastnet 2007. Shoreside manager for Ocean Planet Open 60 in 2002-2003 Around Alone. During the project we required a new boom to be built and shipped to the UK from the US with 1.5 weeks notice and we also repaired the boom in the Falkland Islands during the race. Auckland, NZ a 3 month contract helping to oversee a $200,000 refit of a 27m Jongert at ORAMS Marine including full rig survey, rig re-paint and custom milling/lathing of new parts working in conjunction with Southern Spars NZ. Racing Yacht Management was hired by the Ishares Extreme 40 team skippered by Hugh Styles to provide shoreside support and logistics. 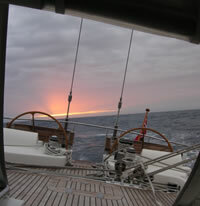 RYM advised on yard choices, delivery of race boat parts, installation of hardware, RIB charters and crew housing. 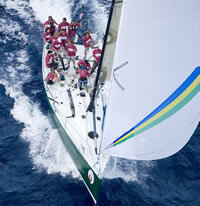 Racing Yacht Management has provided the Farr 40 Astra with yacht management and sailing services since 2004. Astra has had a full San Francisco based campaign schedule during this time. Ashley managed the build of the local fleet and Worlds 2005 websites and provides Etchells Fleet 12 with ongoing website support. 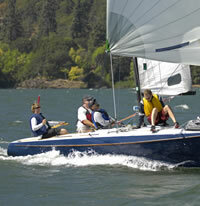 RYM was also hired as the official fleet rigger for the 2004 Etchells North Americans and 2005 Etchells Worlds. RYM was required to bring 10 boats to race standard and provided onsite overnight repairs of all the boats, including all fiberglass and rigging repairs, allowing them to race the next day..
RYM continues to provide several private owners in the fleet with rigging and repair services. RYM was hired in 2004 to do an overnight fiberglass repair on Etchells 126. 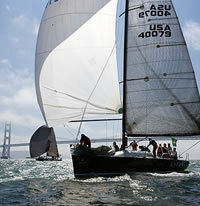 The owner then left his boat in San Francisco after the North Americans, hiring RYM to complete a full refit of the boat. Large sections of rotten deck were removed and rebuilt, bulkheads were reattached, the rigging layouts were redesigned, the deck nonskid , the hardware installed with epoxy plugging of balsa deck and the deck and cockpit were completely re-gelcoated. 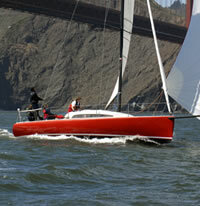 After the 3 month refit the boat was delivered to San Diego for midwinter racing. Ashley helps her brother campaign his Moore 24 Flashman. After buying the boat in 2003, the boats deck layout was redesigned and all new hardware was meticulously installed with epoxy plugs to protect the balsa core from water penetration. 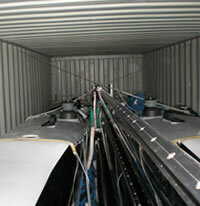 In 2008 a new rig was built for the boat. 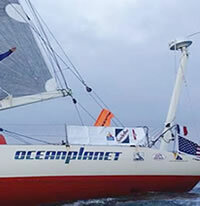 Racing Yacht Management was hired to provide campaign management services, yacht management, rigging and professional sailing services for Quest 33 during 2008. So far results are successful with a second place finish in the OYRA Duxship Race. The yacht is now being prepared for Spinnaker Cup.